While the story of conflict in Kashmir might be familiar, the story of how women have experienced the conflict is not. A more complete picture starts by challenging the assumption that peace and security ‒ and ideas on how to manage them ‒ can be framed and discussed by a limited demographic of men. Both Ezabir Ali and Atia Anwar are researchers, by profession and by vocation. 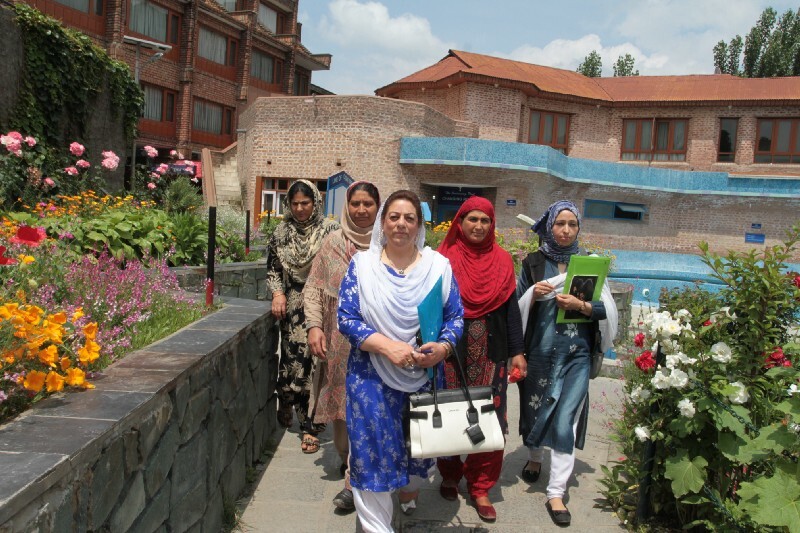 Ali has been documenting and publishing on the psychosocial impact of conflict on women in Kashmir for decades. Likewise Anwar, having grown up in a village along the line of control, returned to conduct research on women’s perspectives of living on the front line of conflict. But despite the fact that women are by no means immune to the conflict, managing security is still seen as a male-only domain. Now, these two women are seeking to change this, with support from an EU-funded project and in collaboration with UK-based peacebuilding NGO, Conciliation Resources. After seventy years and three wars between India and Pakistan, the disputed Kashmir region is still a byword for conflict. Decades of events, decisions, developments and setbacks have touched multiple generations. Women, men, young, old, rural, urban, financially stable and financially insecure, people in Kashmir have experienced conflict and violence in a multitude of ways. The push for greater inclusion in prevention and peace efforts rests on the realisation that conflict, with its many sides and side effects in society, is a relative experience. Ali and Anwar work in parallel on either side of the line of control, tailoring their action to the different conflict issues facing women in each context. Ali works in the valley of Kashmir, Jammu and Ladakh in Indian-administered Kashmir. She works with women living near the line of control and international border, including directly affected women, such as ‘half-widows’ (i.e. women whose husbands disappeared as a result of the conflict and who live without knowing whether their husbands are dead or alive). Over the past three decades, an estimated 8,000 men have disappeared and the combination of the disappearance and the precarious social standing of women mean that ‘half-widows’ not only lose their partners, but also the rights to their homes, the right to re-marry and with it, the possibility of planning for their future. 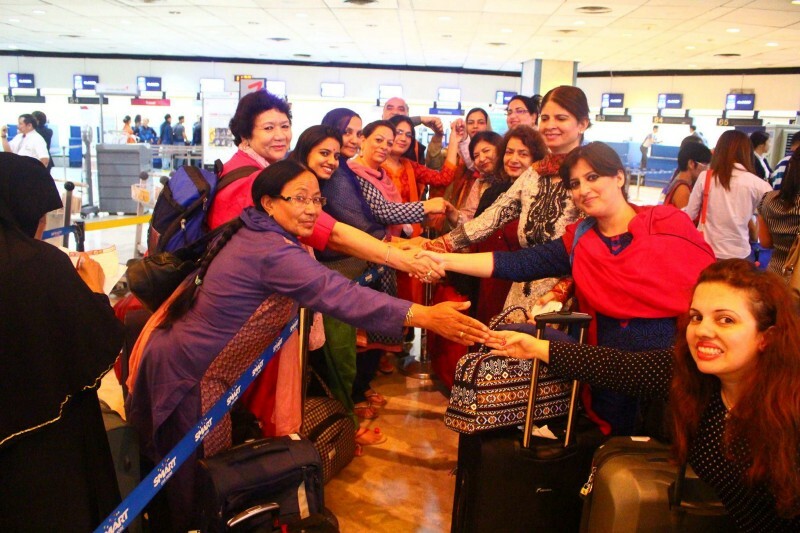 Meanwhile, in Azad Jammu and Kashmir (AJK) and Gilgit-Baltistan in Pakistan-administered Kashmir, Anwar is building a network of women leaders for peace. She has witnessed countless examples of men centring their own voices in discussions about the conflict. “He could be a computer scientist, but he is still confident in putting forward his opinion on what has happened and what should be done about it” says Anwar. It starts early. Young women are less likely to be taught or talked to about the history of the conflict, which is compounded by their absence from policy- and decision-making, almost guaranteeing that women’s contribution to peacemaking is missing. Their approaches, like their issues, are different and context-dependent. For Ali, working with religious scholars to raise and address the rights of ‘half-widows’ in relation to property ownership and remarriage was a necessity. The backlash they might have faced from conservative members of the community was mitigated because of this. Likewise, the foresight to reach out to separatist leaders to advocate for the issue avoided making political enemies. Their private diplomacy and relationship-building paid off. 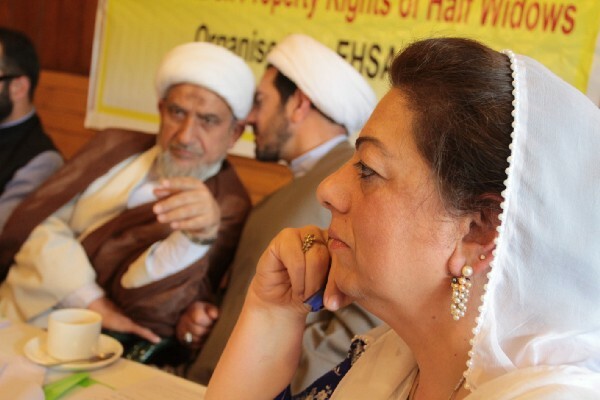 In the summer of 2017, religious scholars representing a variety of sects issued a fatwa recognising the property rights of half-widows and separatist leaders made public statements in support of groups working for the rights of ‘half widows’. Despite different views on faith and politics, Ali’s group had succeeded in gaining endorsement from different stakeholders in the conflict. On the other side of the line of control, Anwar organised a series of workshops that eventually reached around 150 women, to train them in how to break down conflict dynamics, analyse the interests of conflict stakeholders and use this to advocate for peaceful conflict resolution within their own communities. But, even finding participants was a challenge. There was the fact that many women automatically discounted themselves from an initiative focused on peace and security and the fact that ‒ because it involved travel ‒ it was necessary to reach out to husbands and in-laws to alleviate concerns about respectability. It also meant accommodating provisions for childcare or chaperones and a general willingness to take on the logistics necessary to include people who are typically overlooked. At a peace convention organised in May this year, Anwar watched the tables being turned as four young women from her leadership group sat on a panel to present their analysis and recommendations to an audience of (male) policy-makers and politicians. “This was unimaginable before. Normally politicians come, give their pre-prepared speech and leave.” For once, they really listened to their side of the story. For the women involved progress is real. 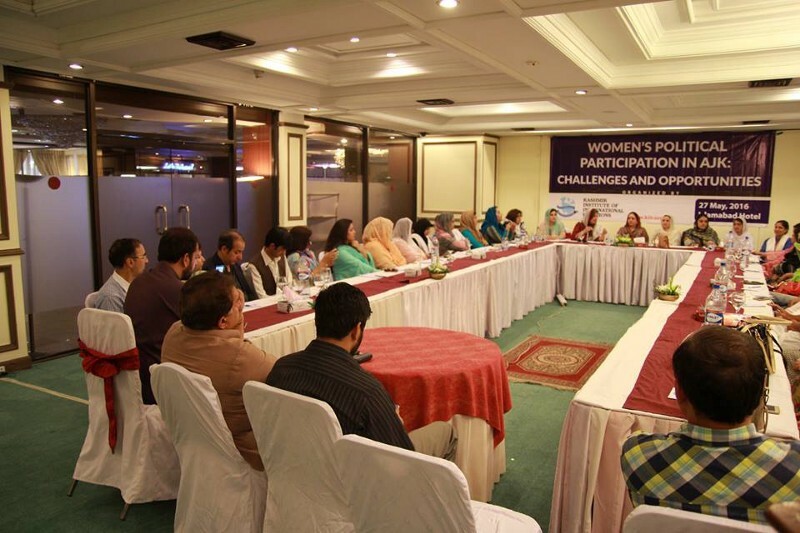 On everyday issues, for everyday conflicts, women in Kashmir are now finding ways to challenge the default to violence, and in doing so, “they feel like peace-makers”, says Ali. Changing mindsets will not happen overnight, but by pursuing a more inclusive picture of the conflict in Kashmir, the project helped to uncover more partners in peace.